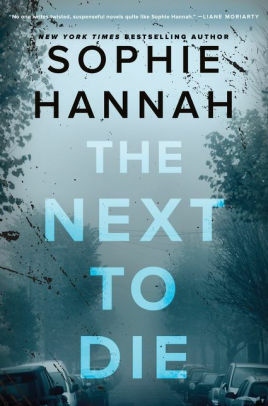 The Next to Die by Sophie Hannah is a highly recommended, layered mystery and police procedural. A Police task force from across England is fervently trying to find a psychopathic killer. They have given the killer the moniker of "Billy Dead Mates" because he appears to be targeting pairs of best friends. Before Billy kills them, he gives each of them a hand-made white book with one line from a poem in it. So far two sets of friends have been killed and the police are at a loss to explain why these two specific pairs of friends were targeted and any connection between them. Stand-up comedian Kim Tribbeck hears about the search for Billy Dead Mates on the news and comes forward with even more puzzling information: she received one of the little white books at a gig a year earlier. She threw it away, thinking it was just something from a deranged fan. Then, after seeing the report, she remembers seeing another white book on the bulletin board of the cancer ward where her grandmother was dying. The police are even more baffled at Kim's information. Kim was not a friend to her grandmother and really trusts no one. Why would she be given a book? Why would she be targeted for murder? The chapters alternate between several characters, excerpts from Kim's book called Origami, based on her experiences with the Billy Dead Mates killer, emails, short stories, letters, and magazine columns. Along with the major question, who is Billy Dead Mates, there are several other investigations ongoing and a rabid journalist who claims the murders are all femicide by a deranged, misogynistic man (never mind the one male killed). There is a lot going on in this book and not all of it has to do with Billy. 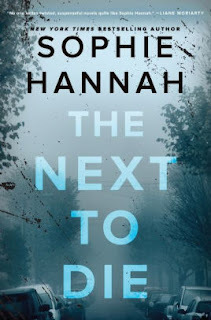 Hannah provides a complex, clever plot with some memorable characters in The Next to Die, which should please most readers. She excels at developing all the characters, while keeping you guessing about who the killer might be and why Billy chose the victims as his target. The final solution about who and why is worth the journey.